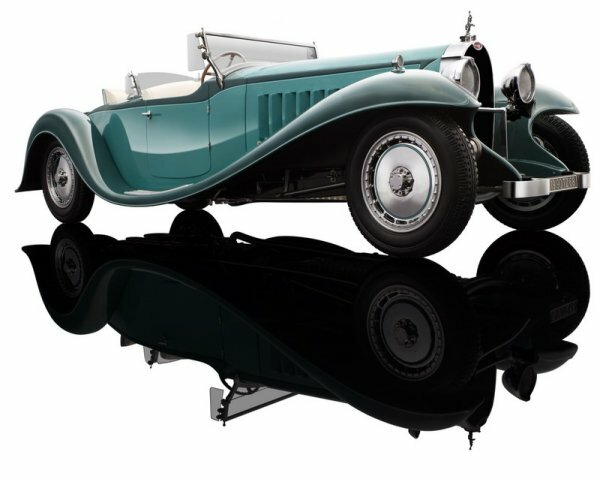 New Bauer 7828-Z75, 1/12th scale Bugatti Atalante Type 57sc £1299.99. Available to order. Oct 2014. Now available, this new model can be simply described in one word: Gigantic! It comes fully assembled from more than 1300 parts. It is a masterpiece of miniature craftsmanship. The die-cast metal body is removable with just a little manipulation, revealing the chassis and giving you a unique view of the 1/18th scale version of the car's 1.5 meter long, 12763 cc, Straight 8 engine. The model weighs a hefty 1.85 Kg, The real car weighed 3000 Kg. A high quality mirrored wooden base is provided to display the model, all you have to do is find somewhere to park this fantastic beast. The pictures show the pre-production sample, the 'furry' interior is now a neater blue velvet texture with a more realistic look. 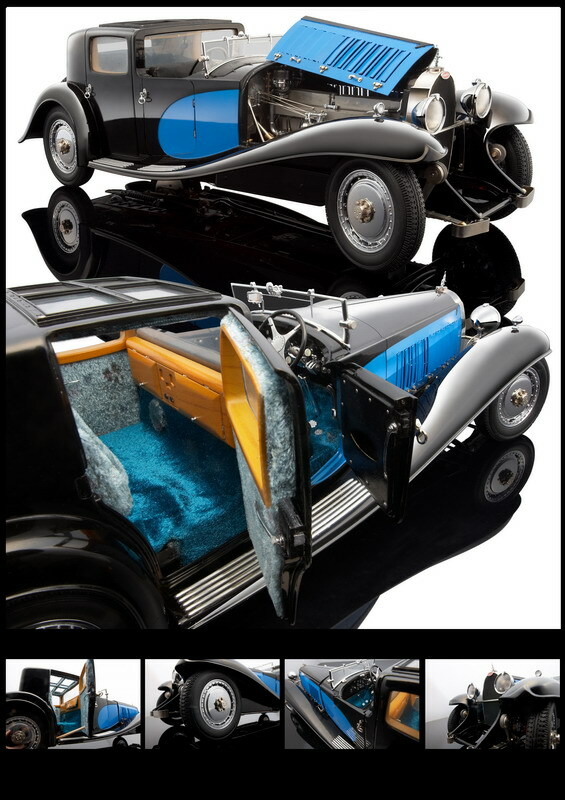 Bauer 3293-J4, 1/18th scale 1931 Bugatti Royale Type 41 Coupe De Ville in Black/Blue £509.99. "Out Now" available to order. 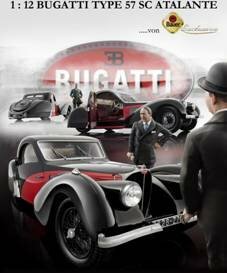 Bauer 3293-J5, 1/18th scale 1931 Bugatti Royale Type 41 Coupe De Ville in Black/Red £509.99. Bauer 3293-J6, 1/18th scale 1931 Bugatti Royale Type 41 Coupe De Ville in Black/Cream £509.99. 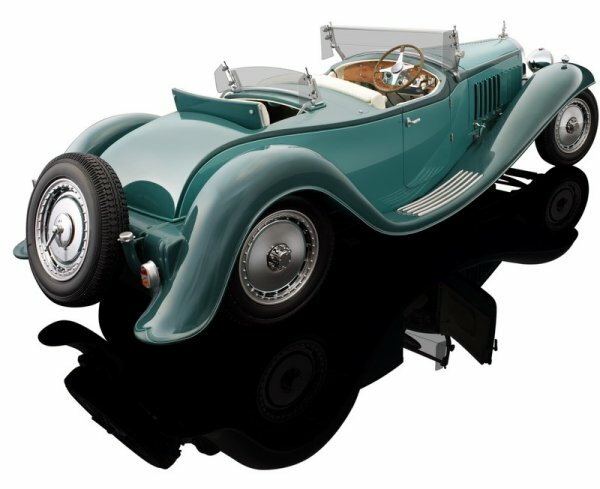 Bauer 1990TZ68, 1/18th scale 1932 Bugatti Royale Roadster Esders in 2-tone Green £509.99. 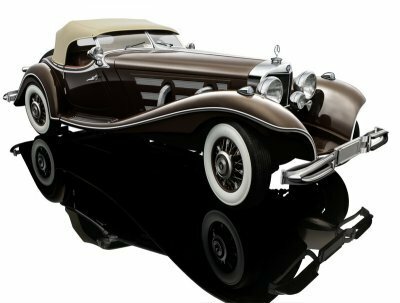 New Bauer S018H, 1/12th scale Mercedes-Benz 500K Special Roadster in Brown £1549.99.